The former Verve frontman tells Radio X about his "epic" "They Don't Own Me" single, and explains why he's not nervous about releasing new music. 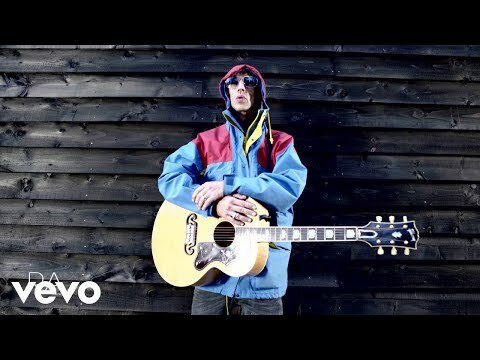 Richard Ashcroft says he's not worried about unveiling new material, but is "always ready for the fight" when he releases his music. Asked by Radio X's Phil Clifton if he ever gets nerves about bringing out new music, he replied: "I don't really." He added: "I know at the same time when I'm realizing it there'll be a certain strain of the music industry that will have a resistance against what I do." "It's always gonna be there, so I'm ready for the fight when I release something." Speaking about his "They Don't Own Me" single, Ashcroft said: "I think I went for it as a contrast to 'Hold On,' to show the album's got other sides to it as well." Despite the former Verve frontman's confidence in his own abilities, he said he still constantly rebels against other people's expectations of him. "I wasn't allowed to take GCSE in music," revealed the "Hold On" singer. "I was banned from taking art. I was told I was the cancer of the class. I was given a ceiling and still at 40-something, people try and put a ceiling on what you are or what you should aim for." He added: "I don't care which school you went to, I don't care how safe you are. I don't care where you're coming from. My stuff is up there with yours." Talking about his upcoming arena shows in December, "The Drugs Don't Work" singer said: "There are gonna be nights hopefully where we're gonna have that thing again that me and my audience had at those smaller gigs a few weeks ago, so I'm really looking forward to that as well."